Write about the people who love you the most. 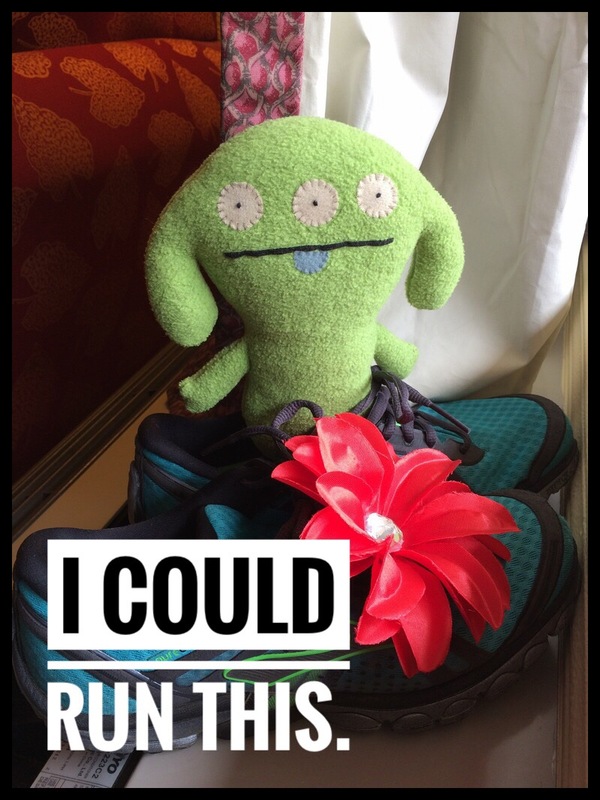 Skeptics think I exaggerate when I say I sent Ugly Dolls all over the world during the height of the movement. I do not exaggerate this point. It’s neither fake news nor is it an alternative fact. 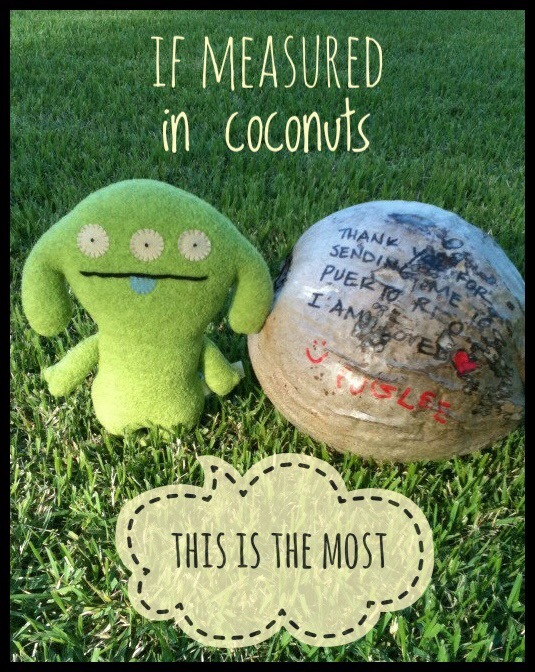 After I sent an Ugly named Puglee to a running buddy in Puerto Rico I received a thank you coconut from her in the mail. I don’t mean I received a coconut in a box addressed to me. I received this coconut in the mail, as is. My address is Sharpied onto the reverse side with postage stuck right to the nut. Who knew you could just slap a stamp on it and drop a coconut in the mail? International mail, no less. Write about an unsung hero. 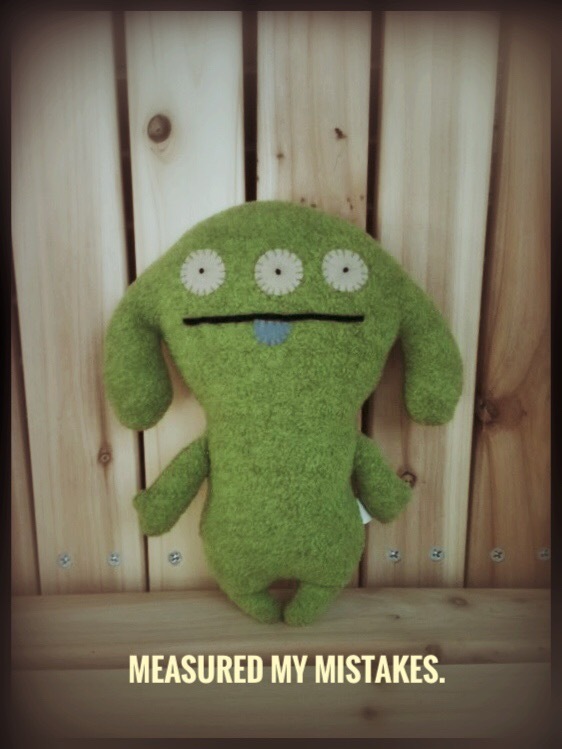 Not all Ugly Dolls are like Peaco. Some of them have feet. And fewer eyes. And come in different colors. I was quite taken with the ugly feet of this little guy as he sat on my desk waiting to be adopted. 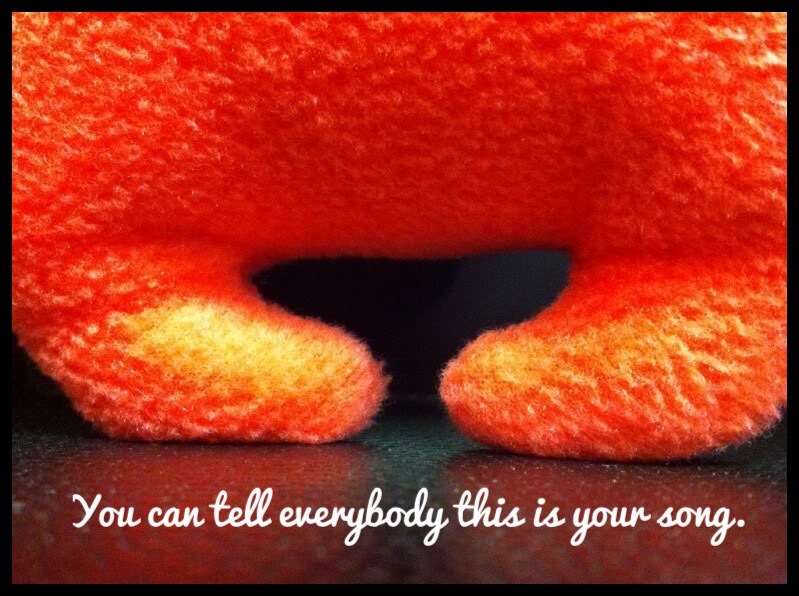 When your doll has no feet, feet are a novelty. I gave this Ugly to the kid of a former coworker. I got one photo of him sitting on a sofa with a video game controller. It made me sad that this is what passes for play and adventure for some kids and their households. The benefit of working feet seems such a waste if all he’s gonna do is sit on the couch. Write about the biggest mistake your antagonist has made. Write about waking up in the big city for the first time.